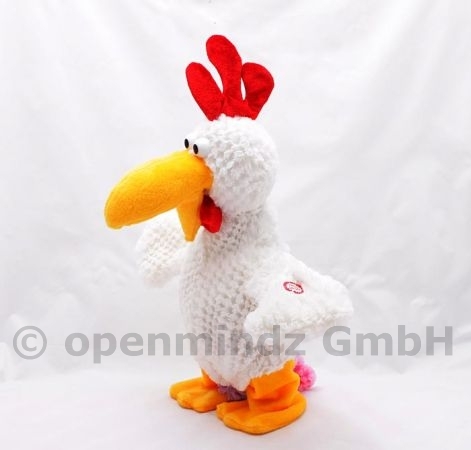 Rocky Rooster is a dancing rooster plush toy. It walks and moves its wings when you start it. There is funny music playing while he is dancing on your floor. The rooster is about 30cm tall.